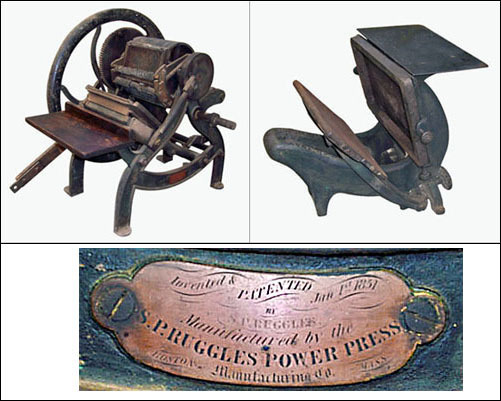 Briar Press is currently holding an auction on eBay for a rare Ruggles Card & Billhead Press, and a Novelty Octavo press. For more photos and information, click on “Seller’s web site” for a link to the auction listing. From time to time Briar Press holds auctions for printing equipment to keep this equipment in the hands of people who preserve or use it. These auctions are a free service of Briar Press and no commission or payment is received.